By adding 20 leading medical schools to the 11 already participating in its Accelerating Change in Medical Education Consortium, the American Medical Association wants to further "bridge the gaps that exist between how medical students are trained and how healthcare is delivered" in the 21st Century. In a press conference Wednesday morning, AMA unveiled the 20 new schools that will more than triple the size of the ACME group -- building upon the momentum of the $11 million project that was launched in 2013. Healthcare IT News reported on the consortium two years ago in its October 2013 cover story, which explored the fact that, while today's medical students are among the most tech-savvy generation yet, many are barely getting a glimpse of health IT during their years in med school. In fact, a 2013 Alliance for Clinical Education poll found that just 64 percent of med school programs allowed students any use of electronic health records. Of the ones that did, just two-thirds allowed students to actually write notes in the EHR. In adding these new members, officials say, the aim is to drive more and bigger ideas for developing innovative curricula that can help med schools better prepare physicians for a digitized world where the hospital is de-emphasized and population health management is the goal. "Ours is a robust response to the gap that has formed between physician training and the day-to-day realities of our healthcare system," said AMA CEO James Madara, MD, speaking on the conference call. "Students must be ready to recognize and respond to health inequity. To understand population health. And to be ready from day one to put best practices for quality care and patient safety to work." 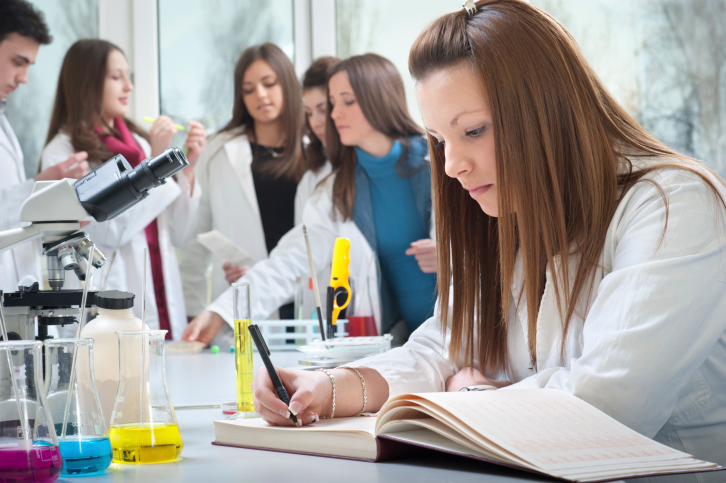 By developing innovative curricula that "embed students in real-world experiences, introduce them to cutting-edge technology and instill in them a love for lifelong learning," the schools of the consortium will "give future physicians these skills and more, and prepare them to lead and innovate as they care for patients and communities in this complex, modern, rapidly changing healthcare system," he said. Madara pointed to two examples from schools in the first batch of 11 members as programs that "allow medical students to be totally immersed within the healthcare system from day one of medical school: training in physician leadership, education in team care skills and increased use of technology to teach electronic health records and patient outcomes skills." Penn State, for instance, developed a curriculum to "ensure that students learn not only the basics in clinical sciences but also health systems science," he said. "This is an important innovation given that the majority of medical students still receive their training in hospital settings – despite the fact that the majority of patients are now being cared for in an outpatient setting in order to treat chronic conditions." At Indiana University School of Medicine, meanwhile, educators "developed a teaching electronic health record using deidentified data to ensure medical students have access to EHRs during their medical training, instead of having to get up to speed after graduating" – something, Madara added, that has unfortunately "been the norm" for too many med students. "Bringing systemic change to our medical education system as we know it will require many more partners and many more schools," said Susan E. Skochelak, MD, group vice president, medical education, at AMA. "By creating and growing this community of innovation, we will together make an investment in the future of healthcare in this country."